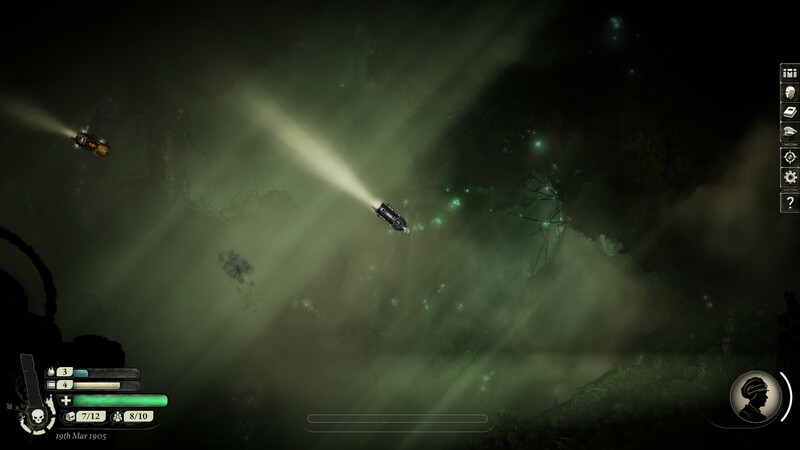 It's no secret that I love everything about outer space, I call myself a space nerd quite often and Sunless Skies feels like it was made for me. Note: My copy was provided by GOG. Sure, it's not exactly futuristic warp-speed science, but instead taking place in a retro-future where you literally blast through space inside a steam-powered locomotive. As outrageous as that sounds, it's actually quite brilliant. Since I've been playing the game from GOG, I honestly couldn't tell you how long I spent in it. I lost a good few nights to it and it's likely going to stay in my top 10 releases this year. For the narrative and the way it pulls you in, it's going to be tough to beat it. 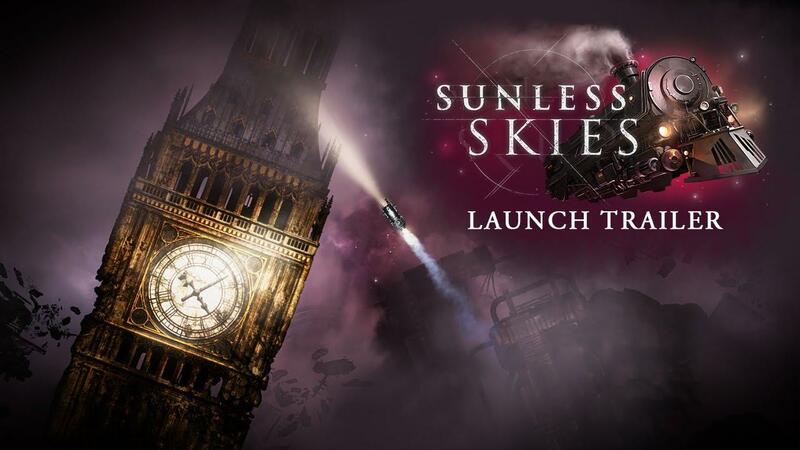 While Sunless Skies is at times quite the masterpiece of engaging story-telling, it's also remarkably beautiful in so many ways a lot of it is hard describe as a lot of events truly depend on you being in the moment. The gorgeous backdrops and environment art really bring out the incredibly moody atmosphere. It's such a strange and endearing mix of genres blended together with some dark spices, as it throws together elements of an RPG with a text adventure while also being a top-down exploration and combat game. Surprisingly, I actually found the combat very exciting despite it not really being a big focus of the game especially with the control mechanics. Being able to power towards an enemy, quickly dodge in a direction with a blast of steam and unleash the fury of my cannons into the side of an enemy locomotive is incredibly satisfying. Truthfully, my first proper attempt lasted all of about an hour as I found myself in the middle of some kind of bandit nest. After taking down some strange space creature, I felt like I could take on the universe. Three enemy locomotives circling me later and I was drifting in space and so Captain Liam met his first end and a lesson was well learned. For those who played it previously, today's update does include a whole bunch of new content including The Blue Kingdom, a whole new region to explore. Additionally, there's new tutorial tips, adjustable difficulty settings, new officers and so on. A pretty big update! That makes it run rather nicely. It's a well-known Unity bug, fixed in later versions. 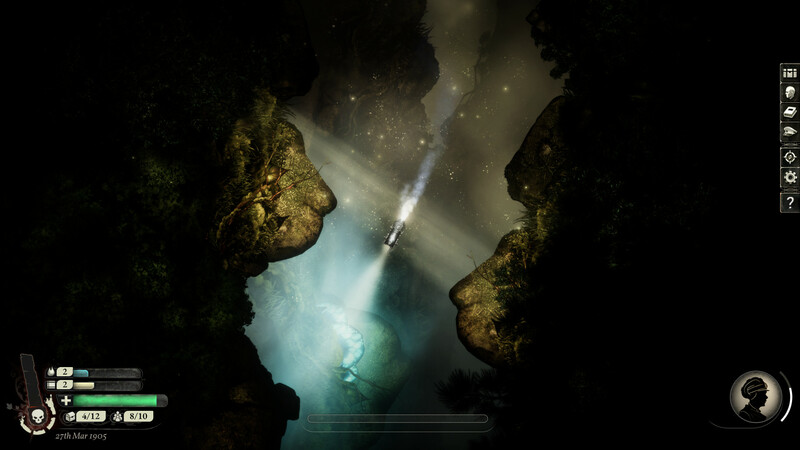 Due to the design of the game and how a lot of it is is played out in various menus, picking options and making decisions it's still quite a slow game and obviously very similar to Sunless Seas. However, I found it way more accessible overall and a worthy successor. Just don't look out of your window for too long, I hear it turns people insane as they stare into the abyss of the unknown. Oh and cruise control, it will save your fingers a lot of effort while exploring. A minor note about performance: I did see noticeable stutter each time I visited a new area, it's not too distracting but other than that it's really smooth in all other parts of the game. You can find Sunless Skies on GOG, Humble Store and Steam. Hey Liam, did you like Sunless Sea? I liked it conceptually but found the overall pacing of the game insufferably slow. How does this compare in that aspect? It sounds from your description that it's easier to progress and enjoy the narrative, but is it really the case, have they tweaked the formula? qptain Nemo Hey Liam, did you like Sunless Sea? I liked it conceptually but found the overall pacing of the game insufferably slow. How does this compare in that aspect? It sounds from your description that it's easier to progress and enjoy the narrative, but is it really the case, have they tweaked the formula? I liked Sunless Sea, but I did find the pacing a little too slow. Skies has a lot of tweaks, it's still slow but the fact that I properly enjoyed it shows how well the tweaks have done even if a lot of them are subtle. Anyone got Sunless Seas actually running? On my Solus Linux system it always crashes on startup. Julius Anyone got Sunless Seas actually running? On my Solus Linux system it always crashes on startup. Just fired it up, works fine on Arch (base game only without expansion). I have played alot of Sunless Sea + expansion, it is very fun but very slow as you say, I am happy they have remedied that somehwat! Will buy this ASAP! I enjoyed Sunless Sea, loved the atmosphere and writing, but got to a point quite quickly (only about 10 hours of gameplay) where your overall goal was only feasible through a very specific set of options, trips and quirks which sucked the life out of it for me. It became a chore to play and I'm not interested in my games being chores! Looking forward to playing this though, based on Liam's recommendation. As much as I like, respect, and support Solus, it was this kind of random gaming and app incompatibility that caused me to end my use of it and go to Arch or Ubuntu based distros where everything just worked for me. Sorry . For me (on Ubuntu 18.04) it just starts as a tiny 0-pixel window. I can hear the music, but there's no way to make the window bigger. Starting parameters don't do anything, either. Thanks @TheSHEEEP it work like a charm know .